If you’ve ever wanted to learn from someone who’s been publishing podcasts since 2005 (that’s 13 years in the business! ), then this is the episode for you! 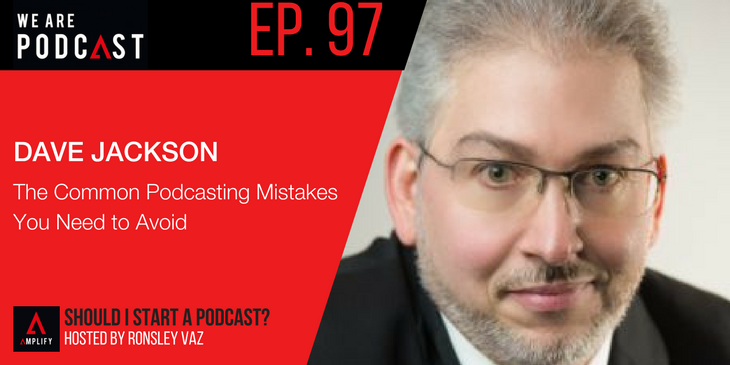 Dave Jackson is one of the Mount Rushmore faces of podcasting, and he talked with me about the power of podcasting, common mistakes for first time podcasters, and the 12 different things you can do to make sure your listener holds onto your show when listening for the first time. Dave is now one of the industry’s top consultants, and he’s spoken at many marketing and media conventions. With nine different podcasts under his belt, he has the experience and know-how! However, he’s also been a technical trainer for over 20 years, meaning he understands the technology but also has the ability to explain it in plain English. In 2012, Dave published his first book, More Podcast Money: Turn Your Passion into Profits. If you’re interested in learning how to shift to a profitable business model as a podcaster, be sure to listen to this episode of Should I Start a Podcast.